At the October 2017 Bench Bar Conference, the Task Force planned a panel presentation, entitled “Access to Justice in the First Judicial District: Achievements and Aspirations.” Panelists included Hon. Sheila Woods-Skipper, President Judge, Court of Common Pleas; Hon. Marsha Neifield, President Judge, Philadelphia Municipal Court; Hon.Anne E. Lazarus, Superior Court of Pennsylvania; Molly Callahan, Women Against Abuse Legal Center Director; and Anita Santos-Singh, Executive Director of Philadelphia Legal Assistance. Click here to read an article about the program. 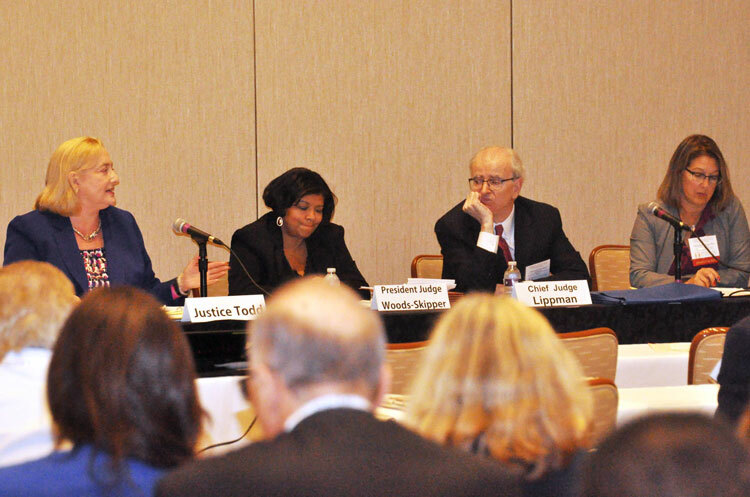 On September 23, 2016, the Civil Gideon and Access to Justice Task Force presented a session at the Bench Bar & Annual Conference entitled, "A Conversation on Access to Justice in the Civil Courts." Participants included (from left) the Honorable Debra Todd, Justice of the Pennsylvania Supreme Court; the Honorable Sheila A. Woods-Skipper, President Judge, Philadelphia Court of Common Pleas; the Honorable Jonathan Lippman, Former Chief Judge, New York Court of Appeals; and Chancellor-Elect Deborah R. Gross, Esq. Click here to review the course materials for this session. 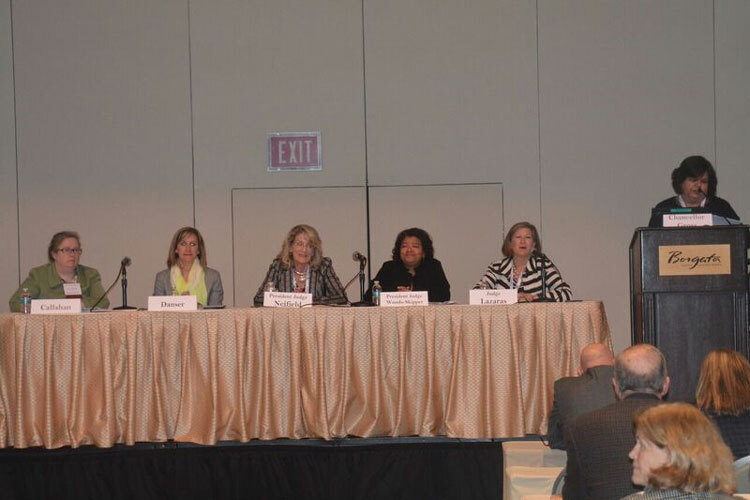 The 2015 Bench Bar & Annual Conference featured a Civil Gideon and Access to Justice panel where the above participants discussed efforts in Philadelphia to improve access to justice for unrepresented litigants in important civil matters involving basic human needs. Participants included (from left) Catherine Carr, Hon. Margaret Murphy, Hon. Charles Hayden, Hon. Sheila Woods-Skipper, and Albert Dandridge III. October 17, 2014 Bench-Bar & Annual Conference : Panel Presentation on Developments in the Civil Right to Counsel and Access to Justice Movement in Pennsylvania. 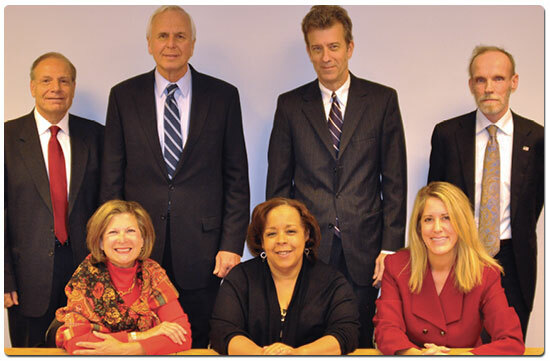 On November 13, 2012, a Chancellor's Forum on the Civil Justice Gap was held at the Association's headquarters. Panelists included Judge Anne E. Lazarus (seated from left), Judge Fern A. Fisher, Karen C. Buck, Louis S. Rulli, Senator Stewart J. Greenleaf, Chancellor John E. Savoth and Joseph A. Sullivan. June, 2011, the Honorable Jonathan Lippman, former Chief Judge of the State of New York, was the featured keynote speaker at the June 27 Quarterly Meeting & Luncheon. 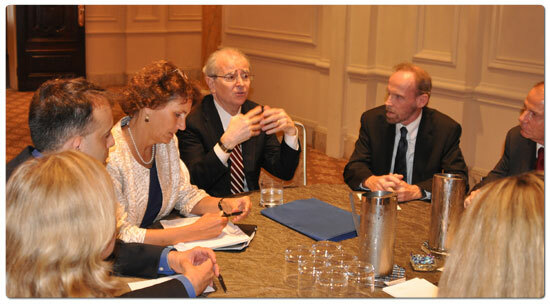 Pictured above the Honorable Jonathan Lippman meets with members of the Civil Gideon and Access to Justice Task Force. Click here to listen to a podcast of the program and here to read Chancellor Rudolph Garcia's column in the May 2011 edition of the Bar Reporter, entitled "Equal Justice for All is Goal with Bar's Support of Civil Gideon." Click here to read an article about the program published by the Legal Intelligencer. Click here to read Chief Judge Lippman's remarks. 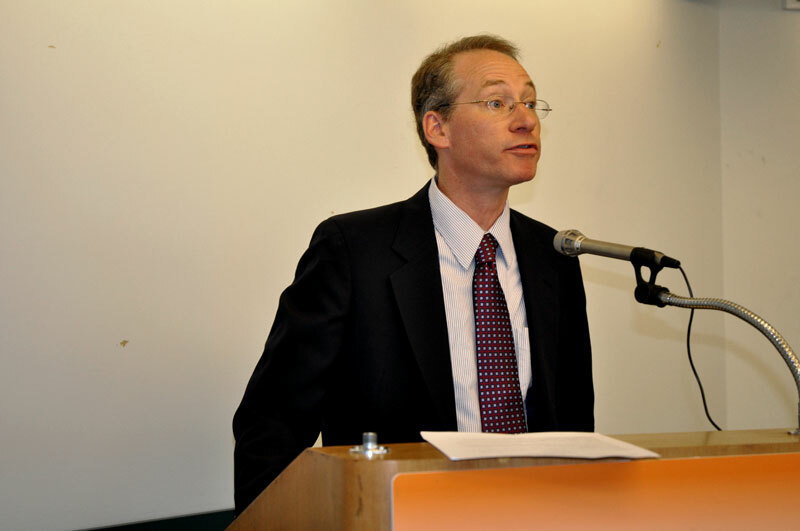 On July 7, 2010, a "standing room only" crowd gathered at the Philadelphia Bar Association headquarters to participate in a Chancellor's Forum entitled, Civil Gideon: Establishing a Right to Counsel for Low Income Persons in Civil Cases Where Basic Human Needs are at Stake, which featuring a keynote presentation by Russell Engler, Professor of Law and Director of Clinical Programs at New England Law/Boston and national expert on civil Gideon. Professor Engler discussed strategies to expand the civil right to counsel and access to justice in a time of economic crisis. 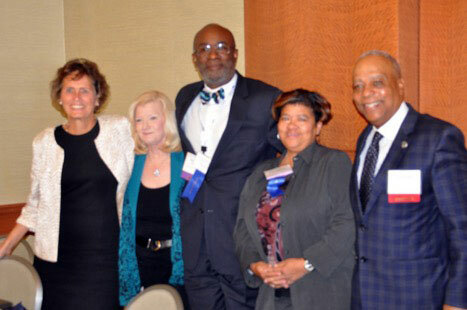 Pictured above are (front row from left) Professor Russell Engler, Professor of Law and Director of Clinical Programs at New England Law/Boston, Catherine C. Carr, co-chair of the Civil Gideon Task Force, Pennsylvania Supreme Court Chief Justice Ronald D. Castille; and (back row from left) Joseph A. Sullivan, co-chair of the Civil Gideon Task Force, Albert S. Dandridge, III, co-chair of the Civil Gideon Task Force Education and Communications Working Group, Philadelphia Court of Common Pleas President Judge Pamela Pryor Dembe, Chancellor Scott F. Cooper, and Louis Rulli, co-chair of the Civil Gideon Task Force Education and Communications Working Group. Click here for photo gallery. To listen to a podcast of the July 7, 2010, Philadelphia Bar Association Civil Gideon Chancellor's Forum, click here. An article entitled, "Chancellor's Forum on Civil Gideon," written by Albert S. Dandridge, III, co-chair of the Philadelphia Bar Association's Civil Gideon Education and Communications Working Group, published in the August 2010 edition of the Philadelphia Bar Reporter, is available here. Several other articles about the program are available here and a selected bibliography prepared by Professor Engler for this program is available here. On July 7, 2010, the Philadelphia Bar Association presented a Chancellor's Forum on Civil Gideon, hosted by Chancellor Scott F. Cooper, featuring a keynote address by Professor Russell Engler, a national expert on the subject and the Director of Clinical Programs at New England Law | Boston. The program, titled "Civil Gideon: Establishing a Right to Counsel for Low Income Persons in Civil Cases Where Basic Human Needs Are at Stake," also featured a panel discussion including Catherine C. Carr, Executive Director of Community Legal Services, and Joseph A. Sullivan, Special Counsel and Director of Pro Bono Programs at Pepper Hamilton LLP, who are Co-Chairs of the Bar Association's Civil Gideon Task Force, formed in early 2009 by Immediate Past-Chancellor Sayde Ladov. On April 10, 2008, the Philadelphia Bar Association partnered with the Pennsylvania Bar Association to co-sponsor the presentation of an educational symposium on civil Gideon to educate the legal community about the strategies being pursued nationwide to obtain and implement a right to counsel in civil matters and to begin a discussion about strategies to implement a right on the local level. Panelists included Pennsylvania State Representative Kathy Manderino; Debra Gardner, Legal Director of the Public Justice Center and Coordinator of the National Coalition for a Civil Right to Counsel; and Laura K. Abel, Deputy Director of the Justice Program at the Brennan Center for Justice at New York University School of Law. Click Here to listen to a podcast of this program.